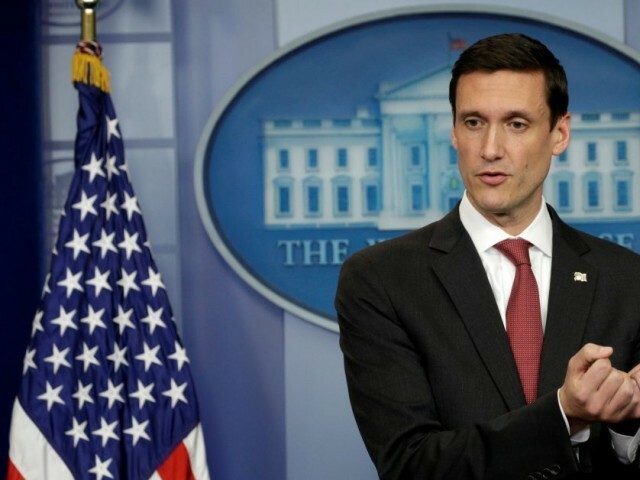 WASHINGTON: US President Donald Trump’s homeland security adviser, Tom Bossert, has resigned, the president’s spokesperson said on Tuesday, in the latest departure from the White House of a senior adviser. An administration official said Bossert, a former deputy national security adviser to President George W. Bush, had left at the request of Trump’s new national security adviser, John Bolton, who began working in his post at the White House on Monday. “The president is grateful for Tom’s commitment to the safety and security of our great country,” White House spokesperson Sarah Sanders said in a statement. “Tom led the White House’s efforts to protect the homeland from terrorist threats, strengthen our cyber defences, and respond to an unprecedented series of natural disasters,” Sanders said. Bolton’s arrival at the White House also prompted the departure of Trump’s national security council spokesperson, Michael Anton. Bossert oversaw the administration’s work on cyber security issues and was considered a key voice for responding more aggressively to destructive cyber attacks launched by hostile adversaries, including Russia, Iran and North Korea.